Army sources said the UAV, the last of the four inducted in 2011, crashed near Pokhran in Jaisalmer district of Rajasthan. New Delhi: There were meant to be the eyes and ears of the Indian Army - a state of the art unmanned aerial vehicle (UAV) meant to give Army commanders high definition images of a battlefield, help designate targets, and provide Electronic and Signal Intelligence information. Instead, the home-grown Nishant UAV, developed by the Defence Research and Development Organisation (DRDO) is a flop with all four aircraft in service with the Indian Army having crashed. And now, the Army has had enough. They want no more Nishant drones from the DRDO. Each drone had cost the Army Rs 22 crore. The last of the four Nishants in service with the Army went down near the Pokhran range in Rajasthan today. According to Army sources, "Today's crash is due to a technical glitch." Just 15 days back, another Nishant had gone down, also for a technical reason. Earlier in April, two other Nishant drones had crash landed near the India-Pakistan border near Jaisalmer. 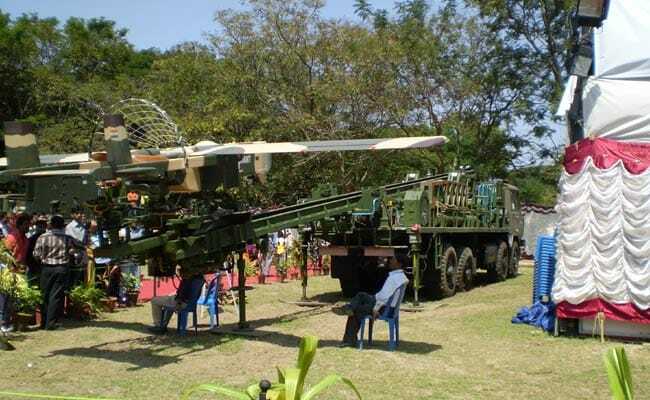 Under development for two decades, the Nishant, designed to fly for four and a half hours, was first inducted into the Indian Army in 2011 after successfully completing confirmatory trials. Launched by a catapult system, the Nishant is recovered after it deploys a parachute at the end of the each mission. For their part, the DRDO has blamed the user for poor handling of the system, a point categorically denied by the Army. The DRDO was banking on the success of the Nishant drone and was also developed a wheeled version of the system called the Panchi. The future of this programme now remains unclear. India's armed forces uses a variety of UAVs including Israeli built Heron and Searcher aircraft which are larger and significantly more capable that the Nishant in its present state of development. A smaller drone, called the Nethra which was developed by graduates of the Indian Institute of Technology is also in use with the forces and is widely used by police and paramiltiary forces and the National Disaster Relief Force.